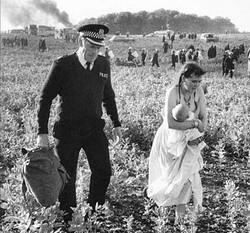 In Thatcher's Britain, riot police were unleashed on festival goers near Stonehenge. Six years later, the battered Peace Convoy won damages against police brutality. The directive had come 'from above' to hand in the footage. This was at a university in the Midlands during the early '90s, but one academic was rushing through copies. A sociologist friend first told me the full details of the Battle of the Beanfield. During a lecture, she had watched an unedited video containing scenes filmed that day in Wiltshire. She was visibly shaken and quite angry. A year later, the same lecturer who'd shown it got the word out amongst his students. An order had come through to surrender all videos pertaining to it. He was incensed enough to be working to ensure the media didn't just disappear. Sociology students were sneaking out copies for safe-keeping. I had one too. An ambulance crew carried a New Age Traveller away on a stretcher. His head bled from a suspected fractured skull. Further into the field, glass rained down on a frightened mother, desperately trying to shield her children. A man screamed, "Don't hit me!" as riot police descended upon him with truncheons. This was June 1st 1985, in rural Wiltshire, just a few miles from the famous heritage site of Stonehenge. Members of the media were arrested and their cameras seized to stop them recording. A local aristocrat, who witnessed the scene, had his reputation lampooned in the national press, after he expressed distaste for the tactics of Wiltshire Police. He later won his court case for libel. It's gone down in history as The Battle of the Beanfield, one of the worst examples of police brutality under Thatcher's regime. Militarized police forces had already been set upon striking miners, now the Conservative government set its sights upon the New Age Travellers. 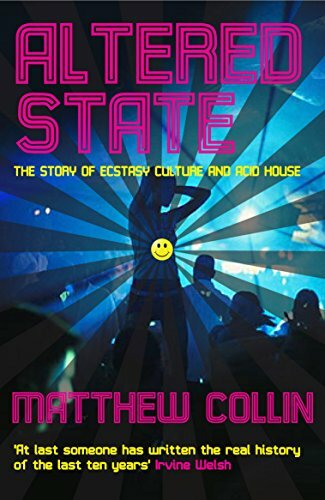 Britain, during the mid '80s, was not a particularly nice place to be, especially if your way of life ran contrary to the will of the government. Heavy industry was the first to take the brunt. 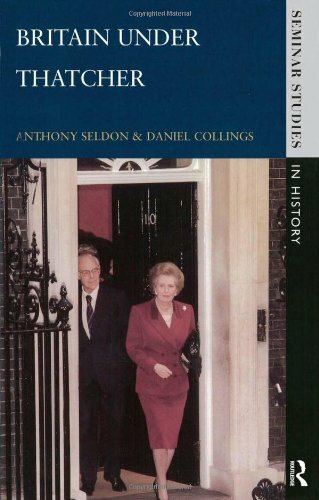 For generations, Britain had supplied the world with coal, steel and other material exports. It was all to end now with factories, foundries and pits being closed down. 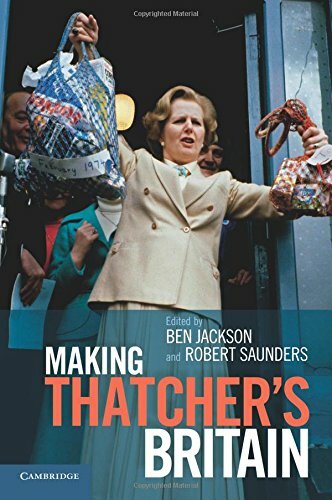 Margaret Thatcher's Conservative government, gorged on the Capitalist principles of the Milton Friedman school of economics, saw mass unemployment as a reasonable price to pay for realigning Britain within the world market. Those who disagreed were met with an increasingly militarized police authority, which was given practically carte blanche to do as it would. In the inner cities and amongst the striking miners, charges of police brutality become more frequent and ever more shrill. Between 1984-1985, police forces honed their strategies and skill in violently smashing picket lines and protestors. By the end of 1984, Wiltshire Police were also planning their tactics, which would be deployed against the Peace Convoy in June 1985. They borrowed heavily from approaches taken against the miners on the picket lines. The Peace Convoy was largely made up of New Age Travellers - the spiritual (and occasionally actual) heirs of the 1960s Hippy Movement. 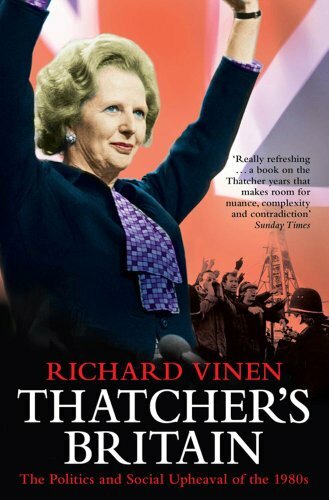 They wanted no part of Thatcher's Capitalist society. They converted vehicles into homes, made out of old coaches, ambulances, trucks and vans. They moved around the country, often following the free festival circuit, home-schooling their children and financing their lives with hand-crafted goods or seasonal farm work. Held at Summer Solstice, the Stonehenge Free Festival was the apex of this nomadic life-style. 30,000 people had turned up for the annual event, for the previous ten years, celebrating with free abandon. They were continuing a centuries long tradition of public gatherings there. But in 1984, English Heritage had taken possession of the ancient monument. It wanted the landmark monetized with a high entrance fee, and tall fences to keep the public out. Naturally this included a sudden end to the Stonehenge Free Festival. English Heritage was awarded a four mile exclusion zone around Stonehenge. Any festival goer entering it was immediately deemed a criminal and arrested. The Peace Convoy came early, fore-runners of the thousands more who would certainly follow. They were to test the waters and see how strongly this exclusion zone would be enforced. What they encountered was utter brutality, which shocked and sickened even those ideologically on the side of the police. This band also ensured raw footage of that day circulated amongst the British people. They sold copies for cost price at their concerts. An English Heritage court injunction stopped the convoy coming within four miles of Stonehenge. The police intercepted it seven miles away. The Peace Convoy had gathered in Savernake Forest, on land belonging to the Earl of Cardigan. On the morning of June 1st 1985, the majority of them left together in a line of around 120-150 vehicles. They expected to meet the police, but the prevailing feeling was one of excitement. They would probably be diverted onto another route or else negotiate a compromise good for all. Everyone thought they would be at Stonehenge by evening. Seven miles away from the ancient monument, the front of the convoy encountered gravel piled high in the road. Some members of the Peace Convoy turned off down a side road, hoping to by-pass the blockage. They ran into a second roadblock caused by police coaches. The New Age Travellers had no option but to park up, while individuals met with the awaiting police to learn what was to happen next. They were all told that they were to submit themselves for arrest and allow their vehicles - and homes - to be impounded. No crime had actually been committed. The convoy had not yet breached the injunction, whatever their avowed intent. Its members refused voluntary arrest; and all Hell broke loose. At the command of Assistant Chief Constable Lionel Grundy, uniformed constables spread out along the start and end of the line of traveling homes. Truncheons in hand, they began smashing in window-screens and rear windows. The occupants of the vehicles screamed in terror, as glass cascaded over them. The Earl of Cardigan, who had followed on a motorcycle out of sheer curiosity, saw a woman dragged by her hair through a windowpane edged with jagged shards of glass. He also saw glass raining down over an infant. He thought of his own newborn daughter at home and his sympathies switched to the Travellers. Some of those in the center of the Peace Convoy could see what was coming. People leapt from their vehicles with hammers and saws and used them to remove a section of fencing along the road. Several homes were driven through the gap into the grassy field beyond. Police moved swiftly to stop any more people escaping into the field, but those already in there had quickly learned the terrible truth. There was no way out of it. Back out on the road, arrests were forcibly being made. Men and women were dragged screaming into waiting wagons. Social services took their children. The RSPCA put down their dogs. Violence against the Peace Convoy continued throughout the afternoon. There were actually two fields. The first, in which the Peace Convoy parked for much of the afternoon, was fallow grassland. The second lay adjacent and this was the famous field of beans. It was through this which many drivers tried to take their mobile homes, when the evening violence reached its zenith. The tall crops and soil entangled their vehicles and left them as sitting ducks. For several hours, during the afternoon of June 1st 1985, there was a kind of stand-off between the people in the field and the officers on the A303. But casualties had already been taken. 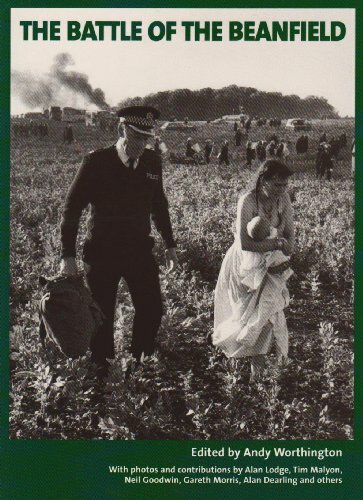 Following the first evacuation into the field, police officers had followed. Windows were smashed and people hit with truncheons. One man was hurt so badly that he had to be rushed into hospital with a fractured skull. An ambulance was allowed through to take him. Further down the hill, out of sight of proceedings, television anchor men and women were blithely informing viewers that only crazed hippy men were in that field. All of the women and children had been left behind in Savernake Forest. The men were armed with petrol bombs and other weapons. Back in the field, a woman yelled for calm in the doorway of her destroyed coach home. "I have three babies on here! Three very young babies!" Every window was smashed. She stood in the debris, amidst shards of glass, addressing a sea of police officers outside. She was allowed to fetch her babies. Another woman lay curled into a fetal position on the grass outside. She was heavily pregnant and trying to protect her unborn child, as the truncheons smacked into her body. A few yards away a mother screamed for them to leave her young son alone. A child wailed, as officers surrounded their car. He was ripped from her arms and she was dragged away for arrest. Yet another woman shielded her boyfriend's body with her own, as police officers closed in with truncheons raised. No petrol bombs were ever seen. In the resulting court battles, the Wiltshire Police never even mentioned them, let alone tried to prove that they'd ever existed in the first place. When riot police forced the Peace Convoy into a beanfield, the violence escalated to a whole new level. By evening, all that the entrapped travelers wanted to do was return to Savernake Forest. 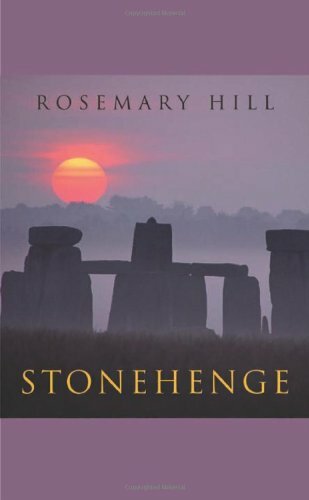 If lone voices still pushed for pressing on to Stonehenge, they were quickly shouted down. But nobody was allowed to exit the field, unless it was to be arrested or else transported to a local hospital by ambulance crews. At 7pm, the tone of the tension heightened again, as riot vans entered the field, spewing fully armored officers into the scene. Panicked Peace Convoy drivers tried to drive away, some ramming police vans along the way. The only way out was into a neighboring beanfield. Their vehicles soon became entangled and stalled. Observer journalist Nick Davies described police officers as going 'berserk' at this point. Truncheons flailed indiscriminately. Individuals surrendering themselves to arrest had their noses broken, as they stepped out of vehicles with their arms in the air. It was no longer merely a case of windows being broken. Now the vehicles were set alight. "And just as they got me onto the brow of the hill there... these bobbies stopped me and forcibly spun me round, and made me look. They said, "See that?" And I looked at my home. And there was smoke coming out... of the side doors and they had gone and set my home on fire. And stopped me, and turned me around, and made me look at my home, the flames billowing and the smoke coming out the sides." Phil Shakesby, Peace Convoy member. The Earl of Cardigan, still watching with a friend, observed a lone police officer run straight past them. The uniformed man picked up a camping mallet, which was lying strewn on the grass, and entered an empty caravan. He proceeded to batter everything in the mobile home, smashing, breaking and destroying all that he could. Across the field, most of his colleagues had focused upon the last vehicle still moving in the beanfield. The fabled Rasta Bus was larger than all of the rest, thus had made more headway through the crops, before it too was forced to a halt. Of all the moments of shock elicited that day, the swarming of the Rasta Bus seemed to stand out in all testimonies. The bus was overwhelmed by riot police officers. They smashed all that they saw. Nick Davies was particularly sickened by the beating of an eighteen year old boy, who had tried to offer himself up for arrest. He saw the young man's teeth shattered by a truncheon in response. Very quickly, the last of the Peace Convoy were all taken away for 'processing'. Most of the assembled journalists saw nothing. They had been penned, 'for their own safety', into an area at the foot of the hill. The rest of Britain saw only through the lens of a television camera or read about it next day in the press. Unfortunately the media blindly reported all that a police spokesperson told them. There were no women and children. Officers were arresting armed, male insurgents intent upon destroying the very fabric of Stonehenge. However, three different reporting teams defied the police cordon. There was no actual legal imperative keeping them back, so they entered both the A303 and the fields alongside it. Freelance photographer Tim Malyon was given short shrift as soon as he entered the field. He was immediately chased away by police officers there. Ben Gibson, a photographer working for The Observer newspaper, was snapping away photographs of police smashing up a coach (and its occupants), when he was arrested. He was accused of 'obstruction', but released at the end of the day without charge. Nevertheless, it had achieved the goal of stopping him collecting damning evidence. There was glass breaking, people screaming, black smoke towering out of burning caravans and everywhere there seemed to be people being bashed and flattened and pulled by the hair. Men, women and children were led away, shivering, swearing, crying, bleeding, leaving their homes in pieces. Meanwhile the ITN news crew, led by anchor man Kim Sabido, recorded incriminating footage. Speaking to the camera, Sabido told viewers back home that there would surely be an inquiry. In all his years of journalism, he had never been so sickened by what he'd witnessed that day. That was saying a lot for a journalist who had made his name reporting from the front line in the Falklands War. Yet that was not what was broadcast on the evening news. The footage had been heavily edited to make the police action appear reasonable and restrained. Sabido's commentary was removed. Instead an emotionless narrator repeated the official lines being told on every other news channel. When Sabido visited the ITN library to view the rushes filmed in the beanfield, he found the majority of them missing. No explanation for their disappearance was ever given. For all the violence and determination in arresting members of the Peace Convoy, nothing much could be made to stick in a court of law. Nearly 500 people were arrested from the Peace Convoy on June 1st 1985. They were initially all taken to a large garage, where they were strip-searched, then taken one by one for questioning. There weren't cells enough in the local area to hold them all, so they were dispersed across several different counties - some into the Midlands and some far into the North of Britain. Nor was there any attempt to keep families together. In some occasions children were held by Wiltshire Social Services, while their parents were split up into two different counties further North. Many pets were simply put down, though the RSPCA eventually retained dogs for collection. For all of the arrests, there were relatively few actual charges. Initially all were told that they were going to be charged with 'unlawful assembly', which could carry a sentence of life imprisonment. It never came to that. Some were sent to court for possession of drugs. The 'unlawful assembly' charges were universally dropped, though some people received 'obstruction' on their police record. The days held in custody generally covered any days which might have been spent in prison. All were banned from entering the county of Wiltshire. 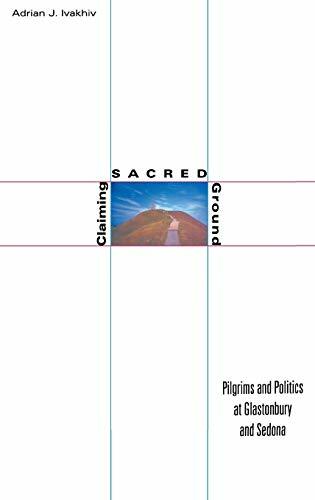 Six years later, twenty-four members of the Peace Convoy succeeded in suing Wiltshire Police for the destruction of their homes and physical injury. They were each awarded £25,000 in damages. Unfortunately, the judge - in a last moment of pure vindictiveness - refused to award costs. The Travellers ultimately received nothing, their compensation swallowed up in legal fees. In my humble, but most cynical, view, governments get away with just about as much as the populace is prepared to let them. Unfortunately, that tends to be quite a lot.. I applaud everyone who kept this story from being buried. Our governments (no matter what country) do many unlawful things to its own people. Scary to say, but that baby would be 28 years old now! I also wonder where they are. It would be interesting to have a follow up now from those who were at the Beanfield. I can tell you about one lady. She's now living in a house in the Midlands, married with one daughter just accepted to enter University. She still fights the good fight, just no longer on the road. That picture of the young girl holding her baby at the top of the article is so upsetting isn't it... I wonder where they all are now. I remember that. Horrible. This was the great age of Rupert Murdoch coming into power, hand in hand with Mrs Thatcher herself. I get your point. Besides the deficiencies cited here, I suspect that in Thatcher's era some journalists may have been intimidated. Remember, journalists in national press have to write what the employers tell them to. If the employers, who may have been in contact with government, wanted the story suppressed, then it would have been. Hear, hear! Re the way the media can misinform or downright mislead. It's quite enlightening to explore how 'tame' our reporters were, when it came to the Beanfield. The Observer reporter later said that there were two factors at play here. The media people had arrived with a notion of 'crazy hippies' along the Charlie Manson model. Then they were kept out of sight of proceedings, being told lots of things which played into their pre-conceived ideas. They really didn't do their jobs. I'm glad that I wrote it too, and pleased that you found it informative. Thanks for commenting. Very enlightening article Jo. I am glad you wrote it. The world needs to know the truth about things like this. People are often too quick to believe the "censored" media, not realizing how easily the truth can be camouflaged.